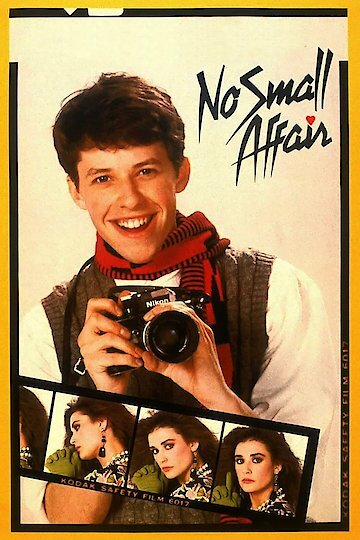 No Small Affair features the characters Charles and Laura as they fall in love with one another. Charles is a young amateur photographer who has managed to accidentally take a picture of Laura. Laura is several years older than Charles and works hard as the singer at a bar. Laura does not want a relationship with Charles, but in spite of being rejected Charles tries to promote her work with an ad campaign. This leads to surprising results for both sides. No Small Affair is currently available to watch and stream, download, buy on demand at Amazon Prime, Amazon, Vudu, Google Play, FandangoNow, iTunes, YouTube VOD online.